Acura also updates the infotainment system to be more responsive. 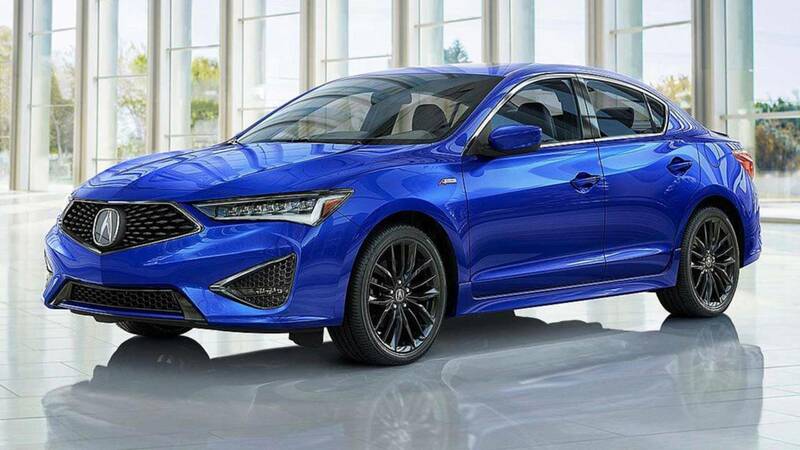 Acura is showing off a surprise refresh for the 2019 ILX after no spy shots or teasers to preview the updated sedan's arrival. It goes on sale in October. Among the many upgrades, the brand's AcuraWatch driver assistance tech suite is now a standard feature, including collision mitigation braking, forward collision warning, lane keep assist, adaptive cruise control, road departure mitigation, and lane departure warning. 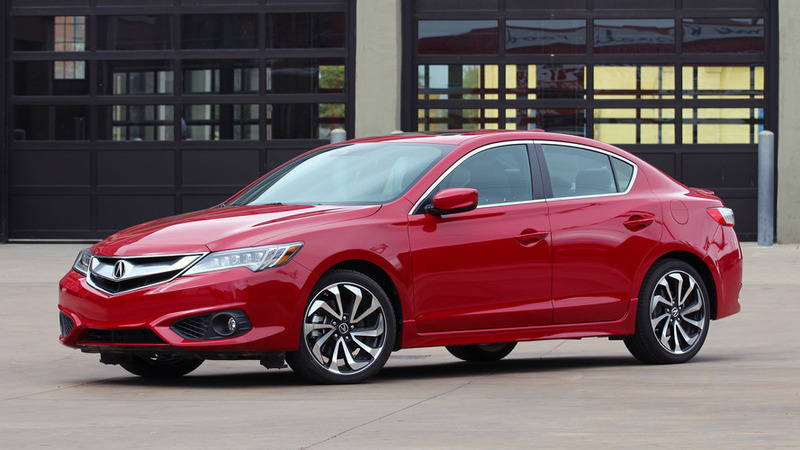 Up front, the 2019 ILX gains a nose in line with modern Acuras that includes a large, pentagonal grille with a big badge in the center. A revised front fascia features sharper lines, and there is an updated version of the brand's Jewel Eye LED headlights with seven elements instead of the previous five. The more angular appearance continues at the back where the taillights now come to a point. The rear fascia also has a sportier look thanks to a simulated diffuser. 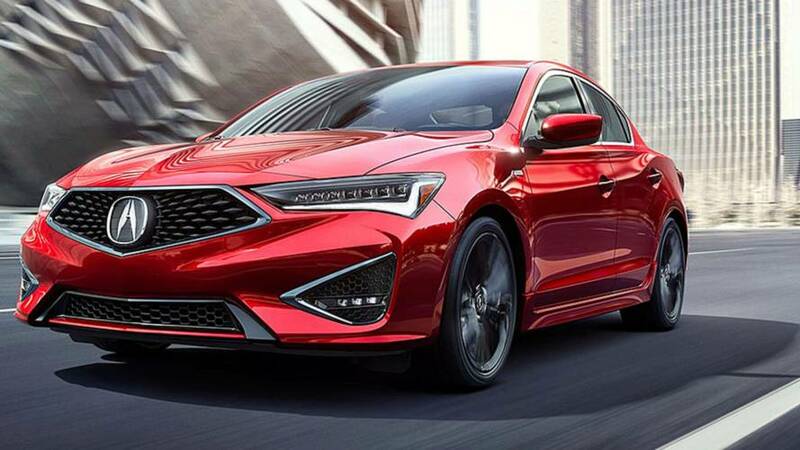 Acura also adds five new exterior colors: Platinum White Pearl, Majestic Black Pearl, Performance Red Pearl, Canyon Bronze Metallic, and the A-Spec-trim-exclusive Apex Blue Pearl. Inside, the refreshed ILX is available with a revised dual-screen infotainment system with updated software that Acura claims is more responsive and has a more intuitive menu design. The result, according to the company, is a user interface that's 30 percent faster. All buyers get reshaped seats that include a standard power-adjustable lumbar support for the driver's seat. There's also new silver-finish trim on the dashboard and additional chrome touches. The company also adds an Espresso brown upholstery color to the options list, and the A-Spec package comes in either Ebony or Red, including Ultrasuede inserts on the chairs. The powertrain carries over, so the ILX comes with a 2.4-liter naturally aspirated four-cylinder that produces 201 horsepower. It still hooks up to an eight-speed dual-clutch gearbox. Sep 5, 2018 - TORRANCE, Calif.